So you’re walking through the grocery isles picking up ingredients for your morning smoothies, and you grab a carton of generic orange juice. Orange juice is a healthy liquid base for your smoothie, right? Wrong. Many fruit juices found in grocery stores nowadays are pasteurized, which means they are heated up to specific temperatures to kill bad bacteria. But along with killing bad bacteria, this heating process also reduces the amount of vitamins and phytonutrients found in fresh squeezed fruit juice. Some pasteurized fruit juices are so void in nutrients that they have basically become flavored fructose (fruit sugar) water—not quite the healthy liquid you want to be gulping down each morning. They will spike your insulin just like processed sugar, which will have you feeling tired and hungry by noon. Instead, opt for a cold pressed juice, coconut water, unsweetened almond milk, or even water to use as your liquid. Water is obviously the lowest calorie option, but cold pressed juice, almond milk, and coconut water all have great benefit that will add vitamins and nutrients to your smoothie. 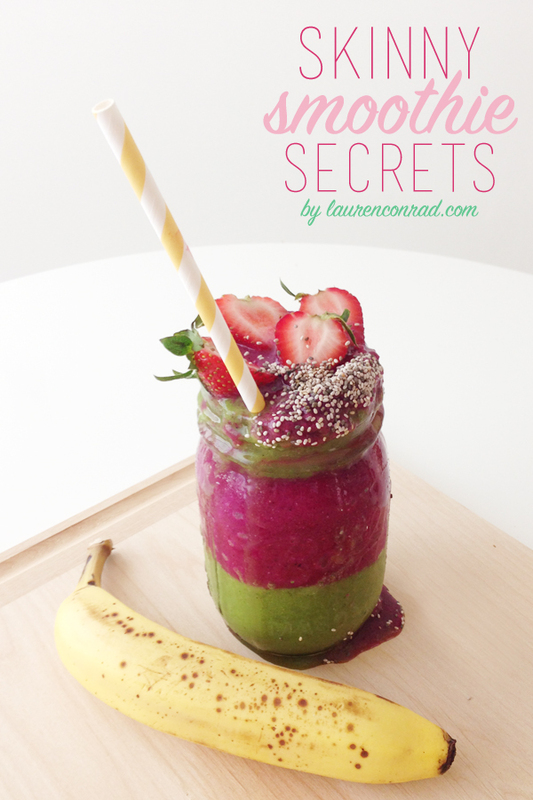 What do you add to your smoothies to make them healthy? Do you have a favorite recipe? Give your two cents in the comments below.